Sofia (Bulgarian: , ) is the capital and largest city of Bulgaria. Its history spans 2,400 years. 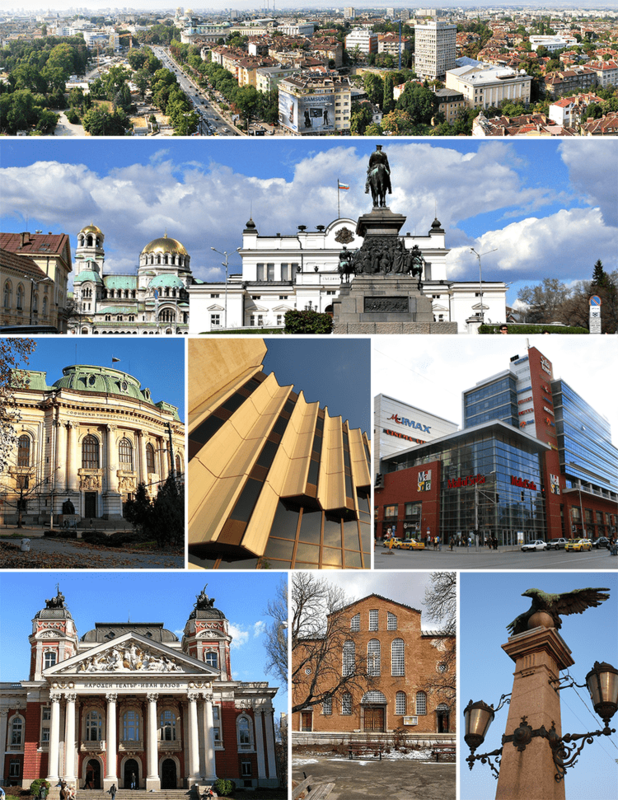 Sofia is the 15th largest city in the European Union with population of around 1.3 million people. It has been ranked by the Globalization and World Cities Research Network as a Beta? city. Many of the major universities, cultural institutions and commercial companies of Bulgaria are concentrated in Sofia. Sofias development as a significant settlement owes much to its central position in the Balkans. It is situated in western Bulgaria, at the northern foot of the Vitosha mountain, in the Sofia Valley that is surrounded by mountains on all sides. The valley has an average altitude of 550 metres (1,800 ft). Three mountain passes lead to the city, which have been key roads since antiquity, connecting the Adriatic Sea and Central Europe with the Black and Aegean Seas. A number of low rivers cross the city, including the Vladayska and the Perlovska. The Iskar River in its upper course flows near eastern Sofia. The city is known for its 49 mineral and thermal springs. Artificial and dam lakes were built in the twentieth century. It is 150 kilometres (93 mi) northwest of Plovdiv, Bulgarias second largest city, 385 kilometres (239 mi) west of Burgas and 450 kilometres (280 mi) west of Varna, Bulgarias major port-cities on the Bulgarian Black Sea Coast. 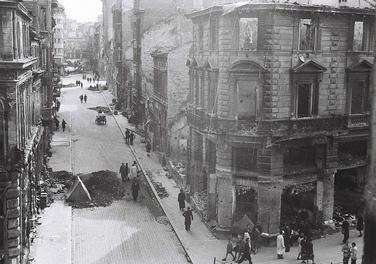 Sofia is located 195 kilometres (121 mi) south of Vidin and 310 kilometres (190 mi) southwest of Ruse, the two biggest cities and ports on Danube river. The city is less than 200 kilometres (120 mi) from the borders with three countries: 55 kilometres (34 mi) from Kalotina on the Serbian border, 113 kilometres (70 mi) from Gyueshevo on the frontier with the Republic of Macedonia and 183 kilometres (114 mi) from the Greek border at Kulata. In the 2nd century AD, it was administrative centre of Roman Moesia. In the 3rd century, it became the capital of Dacia Aureliana, and when Emperor Diocletian divided the province of Dacia Aureliana into Dacia Ripensis (at the banks of the Danube) and Dacia Mediterranea, Serdica became the capital of the latter. The city subsequently expanded for a century and a half, it became a significant political and economical centre, more so — it became one of the first Roman cities where Christianity was recognized as an official religion (under Galerius). For Constantine the Great it was Sardica mea Roma est (Serdica is my Rome). In 343 AD, the Council of Sardica was held in the city, in a church located where the current 6th century Church of Saint Sophia was later built. Sofia concentrates the majority of Bulgarias leading performing arts troupes. Theatre is by far the most popular form of performing art, and theatrical venues are among the most visited, second only to cinemas. The oldest such institution is the Ivan Vazov National Theatre, which performs mainly classical plays and is situated in the very centre of the city. A large number of smaller theatres, such as the Sfumato Theatrical Workshop, show both classical and modern plays. The National Opera and Ballet is a combined opera and ballet collective, established in 1891. However, it did not begin performances on a regular basis until 1909. Some of Bulgarias most famous operatic singers, such as Nicolai Ghiaurov and Ghena Dimitrova, have made their first appearances on the stage of the National Opera and Ballet. Bulgaria Hall and Hall 1 of the National Palace of Culture regularly hold classical concerts, performed both by foreign orchestras and the Sofia Philharmonic. The city has played host to many world-famous musical acts including AC/DC, Sting, Elton John, Madonna, George Michael, Metallica, Tiesto, Kylie Minogue, Depeche Mode, Rammstein, Rihanna, Roxette and Lady Gaga. 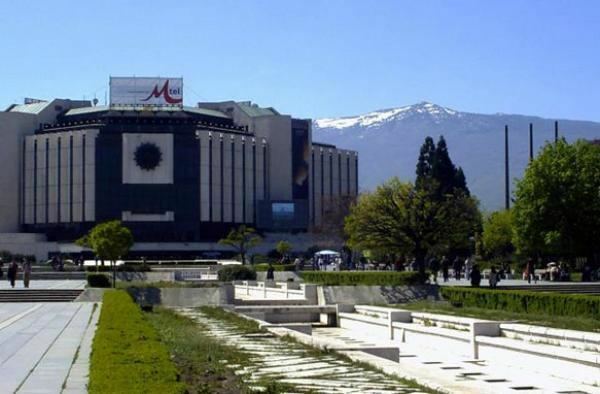 Bulgarias largest art museums are located in the central areas of the city. The National Art Gallery holds a collection of works mostly by Bulgarian authors, while the National Gallery for Foreign Art displays exclusively foreign art, mostly from India, Africa, China and Europe. Its collections encompass diverse cultural items such as Ashanti Empire sculptures, Buddhist art, Dutch Golden Age painting, works by Albrecht Dürer, Jean-Baptiste Greuze and Auguste Rodin, among others. The crypt of the Alexander Nevsky cathedral holds a collection of Eastern Orthodox icons from the 9th to the 19th century. Other museums are the National Historical Museum with a collection of more than 600,000 items; the National Polytechnical Museum with more than 1,000 technological items on display; the National Archaeological Museum and the Museum of Natural History. Cinema is the most popular form of entertainment. In recent years, cinematic venues have been concentrating in trade centres and malls, and independent halls have been closed. Mall of Sofia holds one of the largest IMAX cinemas in Europe. Most films are American productions, although European and domestic films are increasingly shown. Odeon (not part of the Odeon Cinemas chain) shows exclusively European and independent American films, as well as 20th century classics. Bulgarias once thriving film industry, concentrated in the Boyana Film studios, has suffered a period of decay after 1990. A relative revival of the industry began after 2001. After the acquisition of Boyana Film by Nu Image, several moderately successful productions have been shot in and around Sofia, such as The Contract, The Black Dahlia, Hitman and Conan the Barbarian. 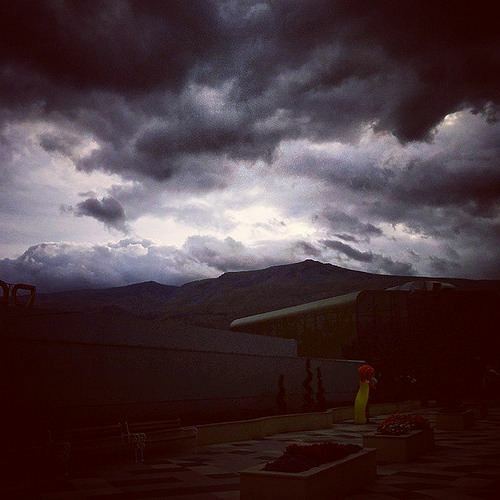 The Nu Boyana Film studios have also hosted some of the scenes for The Expendables 2. Sofia is the economic heart of Bulgaria and home to most major Bulgarian and international companies operating in the country, as well as the Bulgarian National Bank and the Bulgarian Stock Exchange. The city and its surrounding Yugozapaden NUTS II planning region have a PPS GDP of €18,400, which makes it the most developed region in the country. In 2008, the average per capita annual income was 4,572 leva ($3,479). For the same year, the strongest sectors of the citys economy in terms of annual production were manufacturing ($5.5 bln. ), metallurgy ($1.84 bln. ), electricity, gas and water supply ($1.6 bln.) and food and beverages ($778 mln.). Economic output in 2011 amounted to 15.9 billion leva, or $11.04 billion.